Hello, The Shabby Creek Cottage readers! My name is Lindsay and I blog at My Creative Days. I am super-duper excited to be here today to share one of my favorite things to do….. repurpose. I have been repurposing to decorate our home for years. Repurposing helps me achieve the look I want without breaking the bank to do it. Today, I am showing you a Christmas project that was so easy to do I almost didn’t write about it. 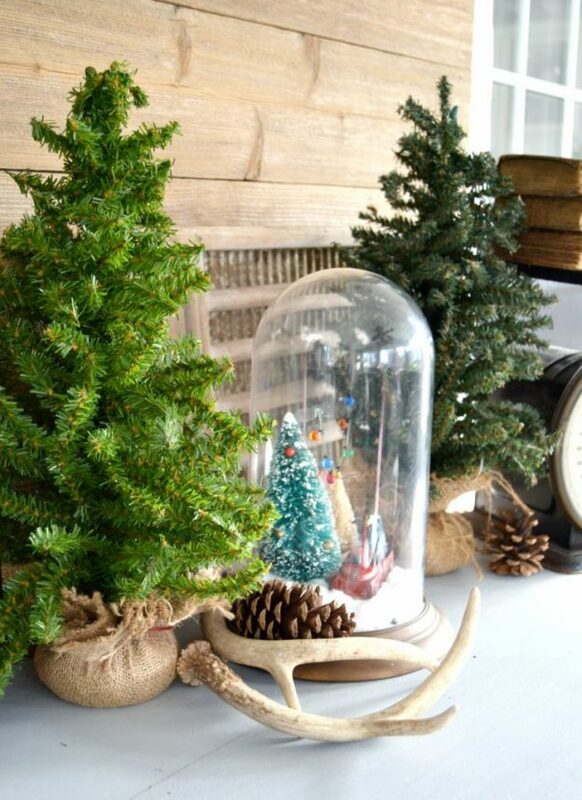 DIY projects that can be completed in under thirty minutes are some of my favorites and this Repurposed Christmas Cloche was done in under fifteen! This Repurposed Christmas Cloche started out with a quick trip to one of my local thrift stores. 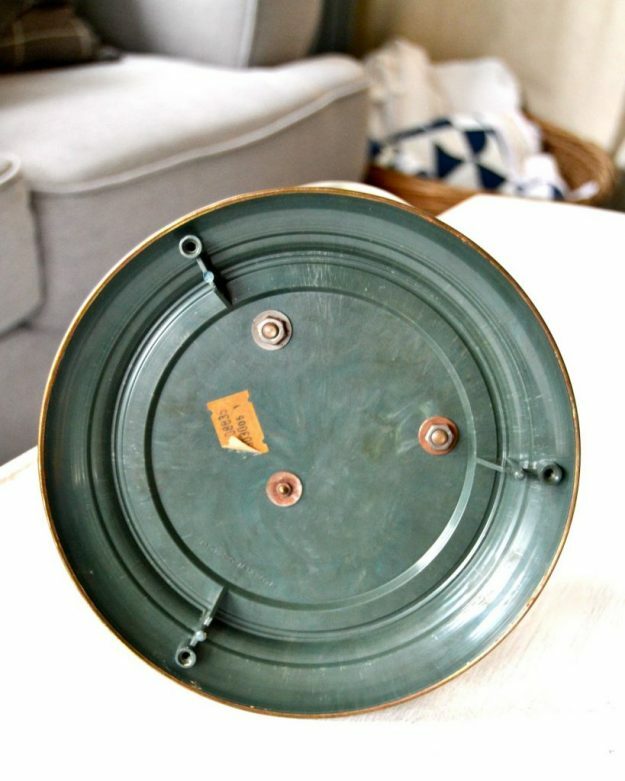 I love searching yard sales and thrift stores for amazing pieces I can repurpose for our home. This time around, this clock caught my eye. To a lot of people, it is a broken and outdated clock. To me, I saw Christmas Cloche potential. 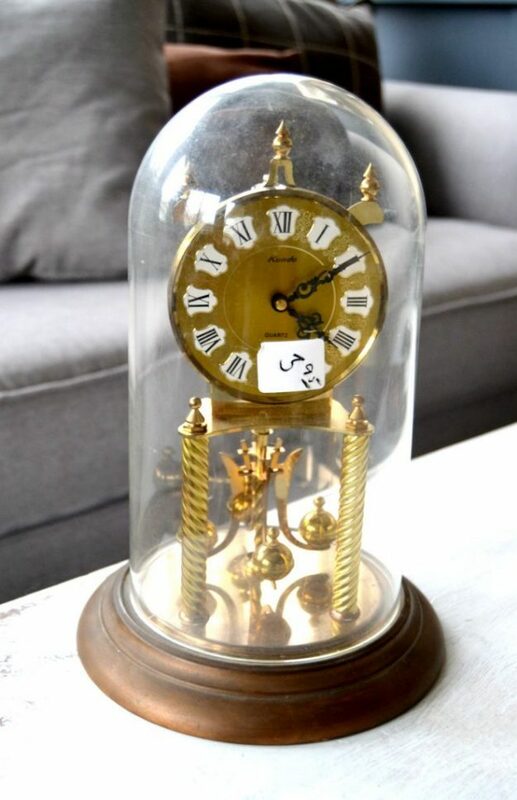 To make this broken clock a Christmas cloche, I had to remove the clock inside by unscrewing it from the bottom. With the clock out, it was time to add the Christmas cheer. I used cotton balls that I spread apart as the snow. I didn’t have cotton stuffing or batting on hand so cotton balls were perfect for the small amount I needed. 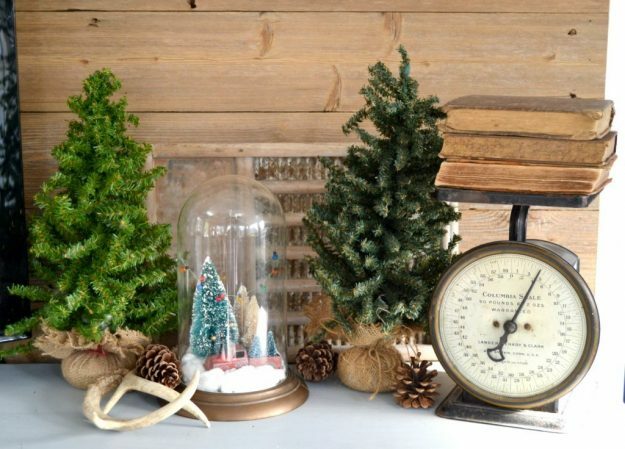 I shopped our home for the other items I added to the Repurposed Christmas Cloche. The red truck, green bottle brush tree and the string of ornaments were finds from a yard sale this past summer. The bleached bottle brush trees were a Black Friday find at Michaels. 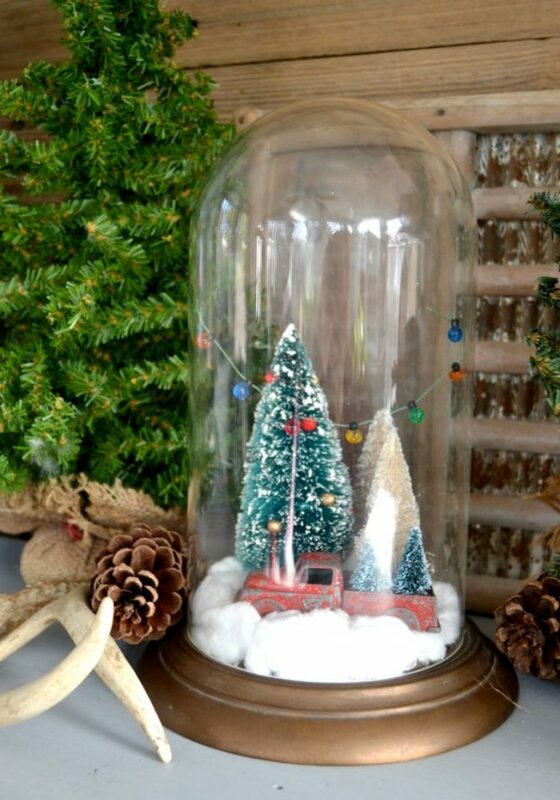 I love this little Christmas Cloche! I have under $5 invested and a cute little decoration to boot. When I was putting the “scene” together, I thought it really started to look like a Christmas Tree Farm. I need to make a tree farm sign to add to it. The best part of this Christmas Cloche is that it is plastic!!! If you don’t tell anyone, I won’t either. I don’t have to worry about this cloche shattering every where when the kids start playing. Cute, inexpensive and safe for the kiddos?? 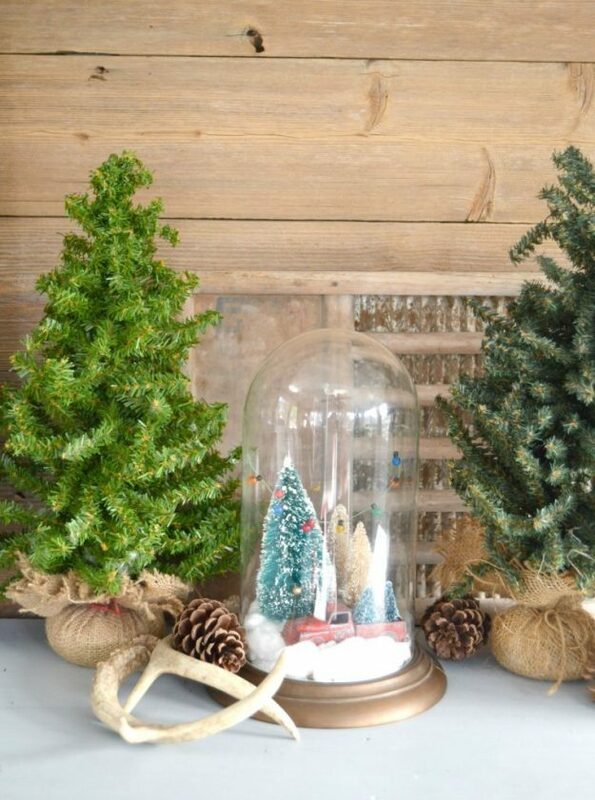 Do you have a Christmas cloche in your home this year? You can make them out of almost anything. 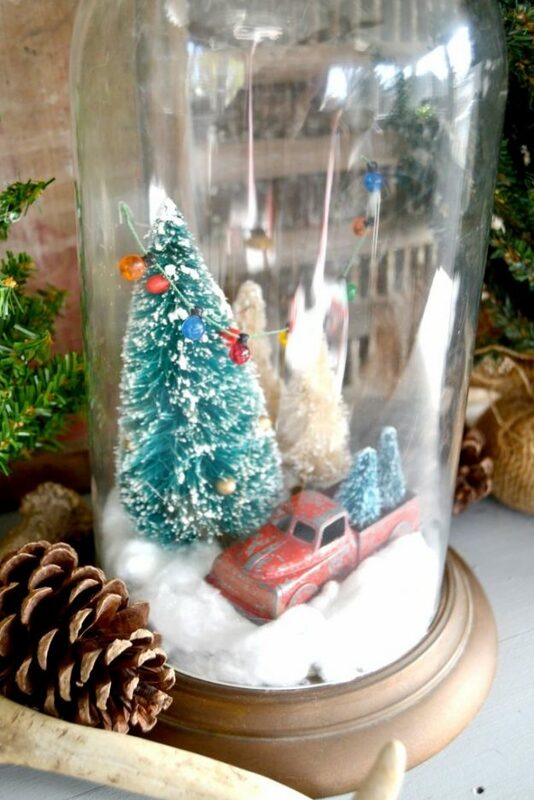 If not, head to your local thrift store and see what treasures you can repurpose for your own Christmas Cloche. I would love to have you stop over to My Creative Days to say “Hi!” and browse around for a while. I have so much to share with you! If you don’t have time to make this Christmas Cloche now, make sure to pin it for later. You can also find me on Facebook, Twitter, Instagram, Pinterest and G+.